Does CSCOPE sound like Common Core? CSCOPE is a customizable, online curriculum management system aligned with the Texas Essential Knowledge and Skills (TEKS). CSCOPE's high quality curriculum, assesment, and instructional components assist schools in meeting the high standard of rigor and relevance required in the TEKS and STAAR assessments. CSCOPE has come under intense scrutiny from Texas legislators, parents and educators because of the cost, the curriculum, the necessity for online infrastructure in the schools, the fact CSCOPE is copyrighted and the taxpayers do not have the right to access the curriculum taught their children. 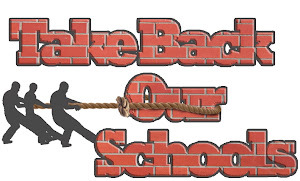 The school districts/teachers do not have the right to teach other curricula other than what is mandated in CSCOPE. Donna Garner attended a Texas Senate Education Committee hearing on CSCOPE and the following is her transcript of the meeting. 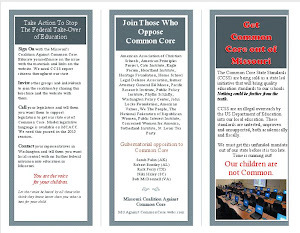 Many of the same issues raised by the legislators seem to be many of the same issues in CCSS: the huge cost (not voted on by taxpayers) to local districts, private corporations holding copyrights to curriculum paid for by tax dollars, the need for online infrastructure in the schools, curriculum inaccessible to the taxpayers and the inability for teachers/school districts to change the curriculum/standards/assessments. As you read Garner's transcript, do you believe this is a glimpse of the future to come with CCSS mandates? Is there really any substantial difference between the two programs? "Most Amazing Senate Ed. Hearing Ever -- CSCOPE"
Today's Texas Senate Education Committee hearing on CSCOPE was amazing. I watched the proceedings online from 8:30 A. M. until it finished around 3:15 P. M., and I took notes as fast as I could type. These may not be word-for-word, but I trust that I have captured the essence of the hearing. What thrilled me is that all of us private citizens who have dug out the truth about CSCOPE and who have been vilified for our efforts were vindicated today because the evidence presented proved we were right all along. CSCOPE was originally produced in 2005-2006 by outside consultants, one of whom was Linda Darling-Hammond who is tied to Obama and the Common Core Standards which is a takeover of the public schools by the federal government. In 2009 CSCOPE was incorporated as a 501(3)(c) non-charitable organization under the TESCCC (Texas Education Service Center Curriculum Collaborative), and the 20 directors of the Education Service Centers (ESC's) make up the board of directors of TESCCC. To do this incorporation, no legal counsel was sought from the Texas Attorney General's office nor from the Commissioner of Education/Texas Education Agency. Now 875 districts are using CSCOPE and pay for it with taxpayers' dollars costing from $7 to $9 per student to "rent" CSCOPE each school year. The monies collected by the ESC's are passed along to TESCCC and then to their fiscal agent, ESC 13 in Austin. The Senators asked the ESC 13 witness how much school districts have paid for CSCOPE over the last several years, but that information did not seem to be readily available. Sen. Campbell mentioned that Ector County ISD alone had spent $1.7 Million for CSCOPE just this school year. Questions were also raised about whether the ESC staffers who handle CSCOPE full-time are paid by TESCCC/ESC 13 or by their own ESC's and whether such an arrangement represents a type of double-dipping. Sen. Campbell wanted to know who owns the proprietary property of CSCOPE if it was developed using public funds -- "Do the people of Texas own it?" She also questioned whether only parents should have access to CSCOPE since all Texas taxpayers paid for it. She said there are many good educators who are active and retired who have a commitment to helping children gain a good education and that everyone in the general public should have easy access to CSCOPE -- in the same way that they do to copyrighted textbooks. Sen. Campbell wanted to know where the checks and balances are to verify the content of CSCOPE. Sen. Patrick told Wade Labay, Statewide Director of CSCOPE, that when a governmental body seeks to form a 501(3)(c), TESCCC should have sought legislative authority. None was sought by TESCCC. The Senators were very troubled by the fact that the Texas Attorney General's office has said that the TESCCC is a governmental body yet it is using public funds to develop its product; uses public dollars to pay its ESC employees; has no TESCCC business office; does not post its agenda; does not allow the public into its meetings; and will not allow public access to its minutes. Throughout the hearing, whenever members of the "education establishment" testified (e.g., school administrators, curriculum directors, representatives from Texas Association of School Board/Texas Association of School Administrators), it was as if they spoke from one "playbook" which had obviously been put together by ESC personnel. The common line used by the education establishment was, "Our district bought CSCOPE as a cost-saving curriculum management system to help our students to raise their academic achievement and to master the new STAAR/End-of-Course tests. Our teachers could not live without CSCOPE." However, when hard data and research were sought by the Senators from the "ed establishment" to prove the effectiveness of CSCOPE, none could be produced -- only their subjective opinions. Almost all of the ed establishment witnesses mentioned their close-knit relationships with the ESC's, and most said they had first heard about CSCOPE through the ESC's. Nearly all said their districts were constantly trained by ESC staff on CSCOPE. When classroom teachers, parents, or the general public testified -- the ones closest to the classroom students -- they told a completely different story. One of the most poignant moments in the hearing occurred when a veteran Algebra teacher almost broke down in tears as he told of having to quit his teaching job recently because he was required to teach CSCOPE. He said he could not look his students in the eyes, knowing that he was "aiding and abetting ignorance...and giving them an allusion of an education." A well-credentialed education researcher, who works with many Texas school districts and who intensely dislikes CSCOPE, said she had had doors slammed in her face when she sought to uncover the ideology behind CSCOPE. She said teachers are afraid to speak out about the content of the CSCOPE lessons and the links that students are directed to investigate. Several of these links take students to sites where Wiccans are said to be similar to Christians and where Islam and Christianity are harmonized as being similar. A current classroom teacher of 30 years' experience told about being offended with the lesson in which students were required to make a Communist/Socialist flag. She said her father had proudly fought in World War II to keep our nation free and that our students should be taught American exceptionalism. She also said that CSCOPE content teaches none of the great novels and does not teach the young readers a systematic approach to reading using phonics. She complained that CSCOPE instead teaches whole language and that there is no formal instruction of grammar, usage, and correct writing. This experienced teacher gave the Senators a copy of the TESCCC/CSCOPE legal document passed out during a CSCOPE 2012 summer training session that states, "To support implementation of this detailed curriculum, districts must have processes and people in place to insure that there is sustained monitoring of the curriculum and that individual teachers do not have the option to disregard or replace assigned content." This teacher said that when parents put their children on the school bus to come to school, they are not sending them to school for a controlled and compulsory learning environment. They want their children's teachers to be able to be creative and to meet the individual needs of each child. She said, "I want it recorded for the record that I have never voted for a conglomerate to take over the Texas school system, and parents have not either." Another witness said there was no need for CSCOPE because the curriculum standards (TEKS) are on the Texas Education Agency website along with many other excellent helps that teachers can use to prepare their students for the new STAAR/EOC tests. Good teachers working together can create their own timelines and lesson plans. One witness asked why the TESCCC was incorporated as a non-profit. Was it to be able to hide the content of CSCOPE from the public? Was it to keep their meetings, minutes, and agendas secret? When confronted with this evidence, the CSCOPE personnel at the hearing repeatedly admitted they had "Oops! Dropped the ball." As the meeting proceeded, it became clear that a pattern of cover-up by Wade Libya/TESCCC/CSCOPE has been taking place since the public "sleuths" started digging out the facts. The website has been changed substantially since the Senate Education Committee public hearing was announced. Now Labay says teachers are not prohibited from allowing parents to see CSCOPE materials, but Sen. Patrick could never get a confirmed "yes" that parents could go right now and see fully their children's CSCOPE materials 24/7. When the CSCOPE lesson referring to the Boston Tea Party patriots as "terrorists" was discussed (which had been in CSCOPE for seven years), Labay said it had been removed. When Labay was confronted with concerns over a lesson teaching the 5 Pillars of Islam, a lesson in which students role play a trek to Mecca, a lesson that teaches Allah is the same as Almighty God, a lesson on Christopher Columbus that cherry-picks his diary to take out any of his references to his belief in God, and a lesson in which students create a Communist/Socialist flag, he gave a lame excuse about those lessons having been a part of the "old" lessons, having been left in CSCOPE at the request of teachers. One Senator said he found it perplexing that when these lessons were first revealed by the public "sleuths," TESCCC accused these concerned citizens of circulating "fallacious claims." Senators Taylor and Paxton were deeply troubled about the student project in which students were to design a Communist/Socialist flag. They cautioned that teaching children to role play and sympathize with a particular cause is indoctrination of the mind, and they asked Labay to tell them who came up with that lesson plan? Labay gave the lame excuse that there are over 1600 lessons and that ESC 12 CSCOPE staffers are the ones who are in charge of the content. One of the Senators responded, "Oh, you mean the same group that has the closed door board meetings...We have already talked about several egregious lessons today. How many more are there that are buried up in the rest of the CSCOPE lessons that we have not located yet?" The Senators kept hammering at the fact that 875 Texas school districts have been using CSCOPE for the last seven years; yet there has been no outside, independent review of CSCOPE to make sure that its lessons align with the SBOE-adopted curriculum standards (TEKS) upon which the new STAAR/End-of-Course tests are based. Sen. Patrick said he found it highly upsetting that it had taken the chair of the Texas State Board of Education six months to get a password to CSCOPE. Former SBOE member Charlie Garza testified that he had asked TESCCC to have extra time to study the CSCOPE lessons, but his request was denied. It was also brought out that besides the per-student CSCOPE rental, TESCCC also makes money by charging publishers $100,000 per event to see the CSCOPE lessons so that textbooks can be produced that align with it. Other vendors pay fees, and TESCCC also makes money from its yearly educators' conference. Senator Patrick said that the public had brought most of the CSCOPE problems to their attention over the last six to eight months and that he was upset over the lack of transparency and the secrecy demonstrated by TESCCC/CSCOPE. He said this is the reason we need transparency, open meetings, and posted meetings -- so that a governmental body cannot violate every entity of being a public entity. "How many more mistakes are there? ... What is behind the curtain? ... You are in 875 school districts ... This is a very serious matter." One Senator said he was investigating the possibility of charging the elected members of the Texas State Board of Education with the task of verifying the content of CSCOPE to make sure it is aligned with the TEKS. Barbara Cargill, the chair of the SBOE, said that the Board has a review process already in place that could be used for CSCOPE since it is being used in 70% to 80% of Texas school districts. Cargill also mentioned her concern that TESCCC in its incorporation papers states that if TESCCC is dissolved, CSCOPE goes to the federal government. She mentioned that she is concerned CSCOPE is not aligned with publishers' textbooks and that it is very confusing for students when they read a CSCOPE lesson (or CSCOPE test) that says one thing and a textbook that says another. Ms. Cargill complained that CSCOPE does not align itself with the new Science TEKS in which all sides of scientific theories (both strengths and weaknesses) are to be taught. Instead, the only links she could find in the CSCOPE lessons go to material that teaches evolution as fact. Barbara Cargill was asked by one of the Senators whether SB 6 (passed in the 82nd Legislative Session) triggered the explosive growth of CSCOPE since school administrators can now purchase CSCOPE (i.e., instructional materials including software and hardware) with state dollars without those materials having passed through the rigorous SBOE adoption process. She said that having "100 eyeballs" to evaluate the instructional materials at the SBOE level is far superior to having only a few CSCOPE employees do so. Pat Hardy, also a member of the Texas State Board of Education, verified that CSCOPE is a curriculum [not a "curriculum mnagement system" as claimed by TESCCC/CSCOPE] and that it is the SBOE who adopts the curriculum standards -- TEKS. A parent whose children are in the public schools where CSCOPE is being utilized believes that the elected SBOE should have authority over CSCOPE. However, she has a serious reservation because one of the present SBOE members is a registered lobbyist for Microsoft; and she wonders about the possible conflict of interest and corruption that could bias the SBOE/CSOPE alignment process. 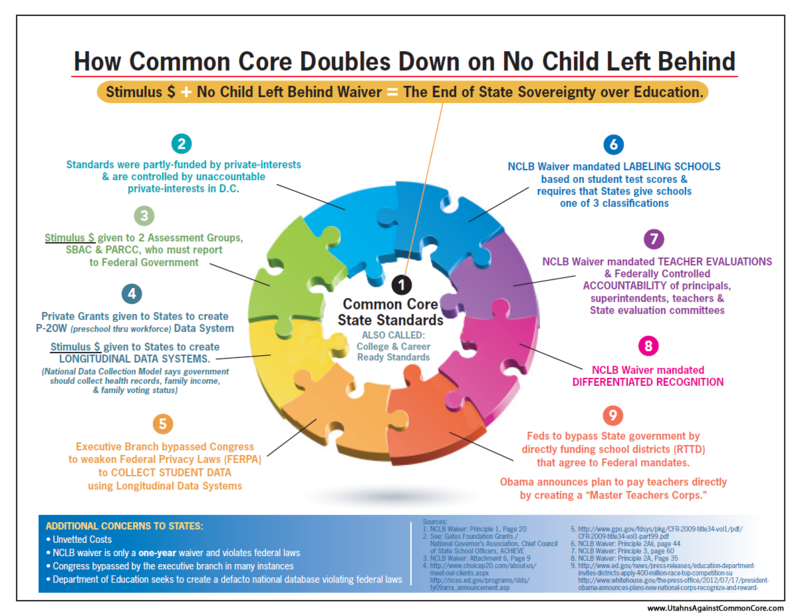 COMMON CORE STANDARDS INFILTRATING CSCOPE? One retired science teacher said that at some point, Common Core Standards tried to purchase CSCOPE; and she is concerned because the Texas Association of School Administrators (TASA) is having a convention in California, using public dollars to pay for Texas school personnel to attend. At this conference, Common Core Standards and Linda Darling-Hammond will be featured. Gov. Perry and both Texas Education Commissioners have said Texas will not participate in Common Core Standards. Since CSCOPE is already in 70% to 80% of Texas' school districts, the retired science teacher is afraid the CCS ideology could be permeating CSCOPE's lessons right now. One of the last witnesses reminded everyone that children belong to their parents and not to the state; school children should be able to take their CSCOPE materials home each evening; and the public should have open access to see everything except the tests and answer keys.